Accompany with the increasing severe global oil shortage and air pollution, new energy vehicles are receiving more and more attention. Currently China has become the world’s largest market of new energy vehicles. eKontrol is dedicated to develop and provide service of power train system for new energy commercial vehicle. 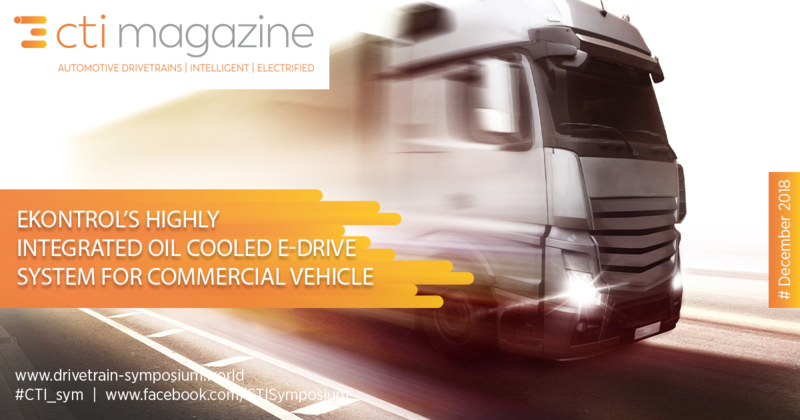 This paper focuses on eKontrol’s second vgeneration of e-drive system, namely integrated oil-cooled e-drive power train unit, which is designed especially for pure electric commercial vehicles. 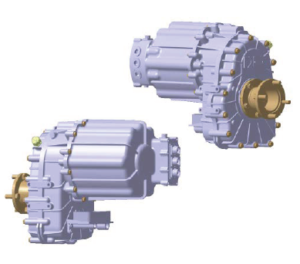 The main characteristic of this product is the integrated oil cooling design of electric motor with the gearbox, aiming to improve the power density and efficiency, and achieve better dynamic performance, together with better economy and road adaptability. The eKontrol integrated oil-cooled e-drive unit can be applied in two platforms, one is for 4.5-ton logistic vehicles compatible with 3.5-ton and 2.5-ton logistics vehicles with the maximum output torque 980Nm and output power 100 kw. The other is used for 12-meter buses compatible with 10~11-meter buses with the maximum output torque up to 2800 Nm and output power 160 kw. 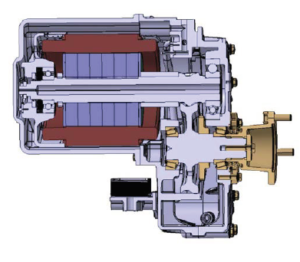 Due to the combination of oil-cooled motor and gearbox, the structure highlights the structural integration and integration of cooling system, as shown in Figure 1. See the Figure 2 for the appearance. This product is for pure electric commercial vehicles. 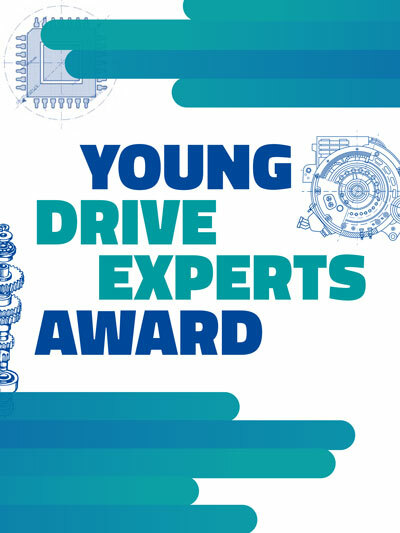 The combination of e-motor and gearbox and the integration of rotor shaft with the input shaft of the gearbox would realise speed reduction and torque improvement as well as the electric motor and gearbox integration. eKontrol developed this kind of highly integrated e-drive unit. The peak power density of the motor can reach to 2 kw/kg, increased by more than 30% compared with the water-cooled motor of the same specification, and the peak torque output capability is increased by more than 25 %. Previous Previous post: Polestar- Pure, Progressive Performance. Fully electric – from €40,000.